There are plenty character on this game, not mentioning in playstation 3 there are few more character that added to this epic game for additional and gimmick surprises. For us as Cosplay Commissioner, taking few purchase and order related this game is awesome things. Eventhough once again I admitted that I am not to good playing battle games like mortal kombat or dragon ball z ( why DBZ pop out in my head) but we enjoy the character it self. If you checking our gallery using search tools, you can see we have made millena, kitana , and kano also Sub zero, and they all classic character in my opinion except millena. 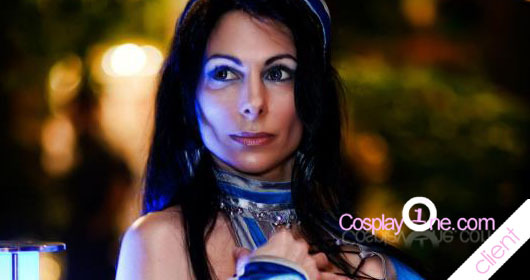 oo yeah.. this one is my favorite, one of my best cosplayer, the one that order Kitana Cosplay sent us her picture pose and I attached her pictures all over this cosplay article, Enjoy. hope you like this Mortal Kombat Cosplay Article.